Obesity is a growing problem across the world, with rates increasing to alarming levels in America, Australia, the UK and many other countries around the world. Health scientists and doctors have been struggling to combat the problem for decades now, and no amount of knowledge seems to stop our slowly increasing waist lines. But, one solution is starting to grow in popularity – the gastric mind band. In the past, obesity has been considered nothing more that a private battle for an individual who is trying to lose weight. However, in recent years we have started to see how obesity is having a detrimental impact on personal health, and subsequently, health services all over the world. Obesity causes a whole range of serious health issues, including chronic diseases such as high blood pressure, heart disease, Type 2 diabetes and vascular diseases, as well as more drastic health problems such as sudden death from heart attacks and aggressive forms of cancer – obese people are far more likely to develop bowel cancer, which is now the biggest cancer killer after lung cancer. We now know that being obese is as bad to your health as smoking. Many people manage to lose weight by themselves once the are determined to make the changes needed. A combination of regular exercise and healthy eating is an effective, cheap and safe way to lose weight and maintain a healthy weight. However, many people fail to self-manage this, and when their weight becomes a serious issue, which is when a doctor will classify them as morbidly obese (defined as having a body mass index of over 40), surgery is often carried out. The most successful form of surgery is the gastric band, which reduces the size of the stomach so that you cannot eat enough food to gain weight. A gastric band can be adjusted by a doctor so that your calorie allowance can be carefully controlled. However, there are two big problems with fitting a gastric band: First, the procedure is very expensive, as it is major surgery that requires several doctors and supporting nurses to carry it out, and then manage the band afterwards. Secondly, as with all major surgeries, there are risks of serious medical complications. But, what if you can do away with surgery, and have an imaginary gastric band? This sounds far fetched, but this is precisely what was recently discussed on This Morning in the UK – a new hypnotherapy method helps people to believe that they have had the surgery, and with some dietary advice and coaching, they start to live as if they have a gastric band. Now, this may sound a little far fetched, but let’s look at some of the facts. Researchers have found that people who have gastric bands fitted start to think differently. The weight loss and reduced appetite does not come just form a restricted stomach, but also from a change in the way you think about food – it’s as if the hormones that govern the stomach learn that you cannot eat more food, so you simply lose your appetite. 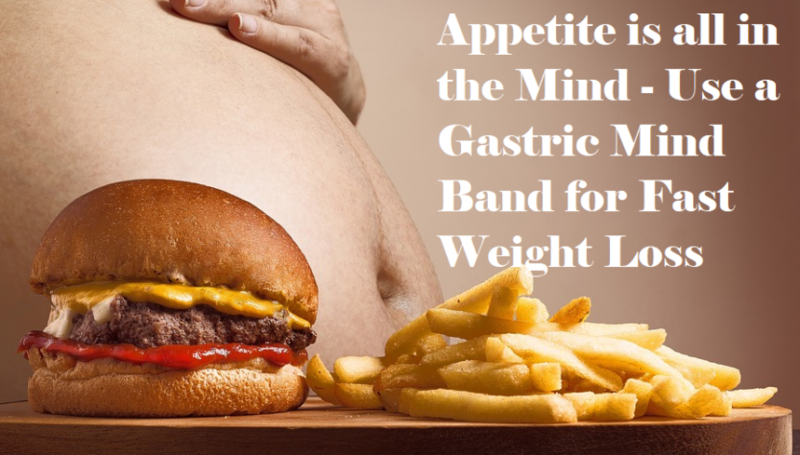 The gastric mind band idea simply turns this around by changing the way you think first, you do away with the need for an actual gastric band, and GM Band are pioneers in the gastric mind band method.